FILE PHOTO: UAV helicopter build by Northrop Gruman is on deck aboard the soon to be commissioned littoral combat ship USS Coronado during a media tour in Coronado, California April 3, 2014. 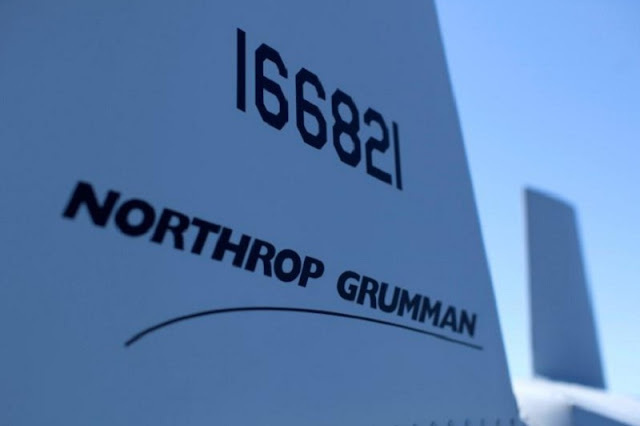 U.S. defense contractor Northrop Grumman Corp said on Monday it would buy Orbital ATK Inc for about $7.8 billion, getting access to lucrative government contracts and expanding its arsenal of missile defense systems and space rockets. The all-cash deal comes as North Korea tests threatening missiles and nuclear weapons, heightening tensions with the United States and its allies. The Air Force last summer called for proposals to replace its aging nuclear missiles and intercontinental ballistic missile system as the military moves ahead with a costly modernization of its atomic weapons. Northrop’s offer price of $134.50 per Orbital share represents a premium of 22 percent over the stock’s Friday close. Orbital’s shares hit a record high of $133.38 in morning trading on Monday, while Northrop’s stock rose 1.5 percent. Earlier this month, United Technologies agreed to buy avionics and interiors maker Rockwell Collins in a $30 billion deal.